Whether you’re new to fitness or you have years of workouts under your belt, one supplement that you’ll find yourself needing is a quality protein powder. It doesn’t matter if your goal is fat loss, muscle building, or performance improvement, protein powder supplement should be a standby in your pantry. Many guys who are chasing after lean mass gains think a weight gainer is the route to go. Is it? Or are you better suited to a plain whey instead? One walk down the protein powder aisle in any supplement store and you will be met with a dizzying array of options, all promising great results. Which one is best for you? And, what should you look for when shopping for a protein powder? When you choose to use your protein powder each day is just as important as the brand you select. It’s important that you evaluate your protein needs before shopping and use this information to choose correctly. So…. Let’s get you informed. First let’s go over the different types of protein powders that you can purchase on your quest for a better looking and performing body. At the very basic level, you have whey concentrate. If you walk into the supplement store and ask for your general ‘run of the mill’ protein powder, this is the one you are going to get. It doesn’t have any extra fancy claims to fame other than the fact it will deliver you amino acids at an average speed, not much different than say a chicken breast or some eggs. Whey protein concentrate may provide a boost to your immune system, so it could potentially help you recover from strenuous exercise better than other forms of protein. This is thanks to the immunoglobins that whey protein contains, which keep your body running at a high level, as was noted by research published in the Applications Monograph journal. Whey concentrate protein powders typically contain around 110-120 calories per serving, have a relatively good protein level at 19-22 grams, and typically have a gram or two of carbohydrates along with a gram or two of dietary fats. They are not all that filtered, so you’ll typically get lactose in these protein powders so note that if you are lactose intolerant, you may want to be careful of this variety. This said, if you aren’t lactose intolerant, they can be a great source of calcium for those who don’t consume much dairy in their diet. As sustaining strong bones is critical to hitting that PR on your bench press (and avoiding shoulder and elbow pain! ), you need to be getting your calcium in. The next type of protein you’ll come across is a whey protein isolate. This protein powder earns top marks for being the best to take immediately following your workout session. Whey isolate is a little more processed than whey concentrate is, but that’s actually a good thing in this case. It means the protein has been formulated to digest more rapidly, thus will give you a faster release of amino acids into the blood, therefore enhancing the overall muscle tissue and repair that you experience. It’ll help you go from feeling weak and fatigued after your workout to feeling back on top of your game (well, as close to it as possible!). Everyone who’s serious about making good gym gains should have a quality whey isolate on their hands. Because it does digest quicker in the body, it will spike insulin a bit more than a slower digesting protein would, so that’s also important to know. The good thing though is that immediately post-workout, spiked insulin levels are actually what you want, so this isn’t necessarily a bad thing at all. Just know that taking it before you go to bed say probably isn’t the wisest of ideas. At that time, stable blood sugar should be your goal. Because whey isolates are more filtered, they’ll also usually have the lactose removed, so you’ll typically be able to find lactose free isolate powder. Want to get ripped? This is also a good protein for you. You can find varieties that are carb and fat free, making it nearly 100% pure protein content. They typically contain 100-110 calories and 25-28 grams of protein. Because this is a highly specialized form of protein and one of the highest quality proteins, it will typically be your higher priced protein on the market. Next on the protein line-up you have mixed blends. These protein powders typically contain a mixture of whey concentrate, whey isolate, sometimes casein, and sometimes egg protein depending on the brand you get. These protein varieties typically cost a bit less than an isolate, but are sometimes more than a concentrate. The blend of the different types of protein also means that you’ll get both slower and faster digesting protein, so they can be an option for those who are on a budget and can’t afford an isolate for right after the workout. They are usually pretty high in protein, coming in at around 120-130 calories per serving and 22-25 grams of protein per scoop. You’ll usually see a gram or two of fat and/or carbs with them as well depending on the specific strains of protein you’re consuming. Moving along, egg protein powder is the next option you may want to consider. This protein powder is a good option for those who cannot consume any dairy products, either due to lactose intolerance or for other reasons. Usually egg protein powder doesn’t taste quite as good as whey protein varieties do, but it’s very high quality and also is typically very low in carbs and fats. This protein powder also often comes in unflavored varieties, so if you want to bake with it without adding flavor to foods, it’s a great option to use. Because there are no carbs or fats in egg whites, you’re looking at nearly 100% pure protein here as well, with most brands coming in at around 100 calories and 25-26 grams of protein. Casein protein is another protein variety that you may have heard about before. While whey isolate protein powder is designed to be faster digesting in nature, whey isolate is designed to be slower digesting in nature. Meaning, it’ll be a ‘timed release’ protein powder, so to speak, releasing amino acids into the bloodstream of a lengthier period of time. The end result? You maintain a state of anabolism longer, which can help prevent lean muscle mass tissue. Many people typically use casein protein powder right before they go to bed to help ensure their body is well-fed over the nightly fast or use it when they can’t get to their normal meal and need something to tide them over until their next in the middle of the day. Casein protein powder is not ideal for right after a workout however as the slower digesting nature of it is disadvantageous to the goals you are trying to achieve right now. One thing that is interesting to note however is that according to research published in the British Journal of Nutrition, whey protein does tend to suppress the appetite more than casein does, so if you are looking to combat hunger, a whey concentrate may be your better solution. Casein also typically contains lactose unless you get a lactose free version so does provide that good source of calcium as well. Stat-wise, casein protein powder may contain a gram or two of carbohydrates or fats, but overall, it’s quite lean as well. It’ll typically have a slightly better nutritional profile compared to whey concentrate. Hemp protein powder is the next protein powder you’ll be looking at as you browse the supplement shelves. This protein powder is a good alternative for those who are consuming a vegetarian diet plan who may not be able to have whey or egg white protein powder. 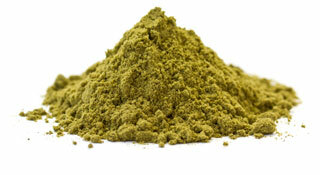 It can be very hard for vegetarians to get the protein they need, so hemp protein powder can make things easier. As an added benefit, hemp protein powder will also contain some omega-3 fatty acids from the hemp seeds, so this can be very beneficial for those who aren’t eating any salmon or other sources of omega-3 fatty acids as well. Because of this, hemp protein powder won’t have quite the nutritional profile that whey protein powder does as it’ll be a combination of fat and protein along with a few grams of carbs in most cases. Still though, if you are looking at other vegetarian sources of protein, it will still have a better protein to carb/fat ratio than many other sources. Hemp protein powder usually doesn’t come in quite the flavor variations that whey protein does either, so you’ll be left with choosing between unflavored, chocolate, vanilla, and strawberry in most cases. Finally, last on the list of protein powders you might consider are soy protein powders. WARNING: Now, this is one protein powder that as a man, you may want to steer clear of. The jury is still out on the full effects of soy on the male body, however research published in the Nutrition and Cancer journal does suggest that it can be problematic in terms of maintaining optimal testosterone profiles. As soy does tend to be estrogenic in the body, it may cause your estrogen levels to go up slightly, putting you at a disadvantage in terms of building muscle, getting lean, and feeling like yourself. If you are a vegetarian and can’t have whey protein, you’re better off choosing hemp over soy if it comes down to it. Soy protein powder also doesn’t have the greatest nutritional profile either and usually contains a few grams of carbs and fats along with protein. In some cases, the carbs can be nearly as high as the protein itself. Mass Gainers: Smart Tool Or Money Waster? 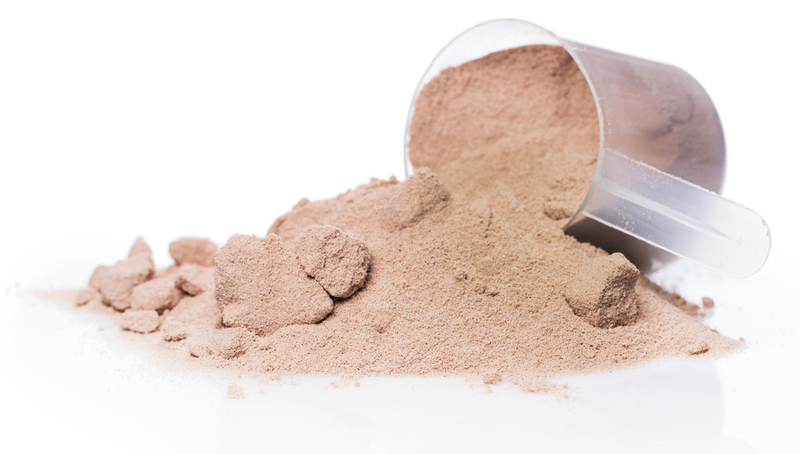 Before we leave off, we need to talk about one more protein powder variety – mass gainers. If you are looking to pack on lean muscle mass, you may be under the impression these can help. The problem with most mass gainers is first, they contain far too many calories. While yes, you do need more calories to build muscle mass, you don’t need thousands of more calories, which is what some of these contain. You can find weight gainers that pack in 1000, 1500, or even 2000 calories per serving. This is too much for the average guy. Even a weight gainer containing 600-800 calories is overkill in most situations and will just lead to unwanted weight gain. Furthermore, when you look at the quality of nutrients in these products, there is often much to be desired. While the protein is typically good as it’ll come from whey protein powder, the carbohydrates are primarily sugary carbs, so are not ideal for building lean mass. Instead, they’re more ideal for packing on body fat. On top of that, the fat content is usually also not the healthiest form of fat to be taking in either. All in all, leave those on the shelf. If you must have your own weight gainer, build one yourself by mixing together a scoop of protein powder, a quarter cup of ground oatmeal and a couple tablespoons dried unsweetened coconut flakes. Shake this up and serve. You’ll be fueling your body far better. Don’t worry. We all have questions we want to ask but perhaps are too afraid to speak out loud. Hopefully will this frequently asked questions section answer your question about protein powder and protein shakes. When to drink protein shakes for weight loss? If you want to lose weight for good, you need to take care of your diet first. The foods you eat will play the most important role in weight loss. Adding protein shakes to your diet or replacing snacks with a protein shake is a good idea. You should drink one shake before your workout and one after your workout. You could also replace one of your usual snacks that may be unhealthy for you with a protein shake. How to use protein powder to gain muscle? The best way to gain muscle fast with the help of protein shakes is to take one before your workout and one after. Before you go to bed you should also drink one protein shake. That will give your body enough protein to grow the muscles as you sleep. Casein protein is best before bed and Whey protein before and after workouts. Should I take whey protein with water or milk? It’s really up to you. Some think it tastes better with milk than water. If you use milk you will be consuming more calories from the milk. If you use water you will only be consuming the calories from the protein supplement. So, are you bulking or cutting? Do you need extra calories? Then go for milk. Are you trying to reduce calories in order to lose fat? Then you should just go with water. If you drink whey protein before a workout you will give your body important amino acids which will help you grow your muscles during your workout. If you drink whey protein afters your workout you will give your body the important nutrients it needs in order to repair and grow your muscles. Protein is the building blocks for your muscles and protein in itself is found in lots of foods. Such as in meats and peas. When you can not consume enough protein through the foods you eat in order to get the body you want, people often turn to protein powder supplements in order to increase their daily protein intake quickly and easily. You need a low fat, high protein yoghurt such as Icelandic Skyr. Put this all in a blender and voila. It really depends. You need to track how much protein you can consume through real foods. Then you can see how many grams of protein you’re missing for optimal muscle growth / fat loss. For most people that means one shake before a workout, one shake after a workout. One before bed. Three total. So keep these points in mind when selecting a protein powder and you can’t go wrong. At the end of the day, getting some type of protein powder available in your kitchen is definitely a wise move to keep climbing the ladder for workout gains. My name is Christian and I'm the Supplement Nerd. I've tried and tested thousands of supplements so that you can spend your money more wisely. By now I've debunked hundreds of myths and exposed 84 scammers. Hey Christian just read your article about the different types of protein powders and it’s very insightful, so here’s a thumbs up 👍. But I don’t seem to be getting your free e-book about the supplement scams when I enter my email address I think maybe the link is broken please fix.